What do you look for in a winter walking jacket? We lay out a few of our favourite options. Damian Hall reviews the best down and insulation jackets for hiking in cold weather. Simply put, a down or insulation jacket is for keeping you warm, and that can be vital at this time of year. But it’s not as straightforward as it sounds. Firstly, our bodies are amazing things and can generate a lot of heat. That’s why often after 5-10 minutes of initial hiking we want to remove a layer; our body is doing its job. So it’s often worth starting out just slightly on the cool side, rather than annoying your hiking pal by stopping to change layers, and letting them get cold. So quite often the warmer jackets – such as the Columbia, Sherpa, Salomon and The North Face options here – may be too warm for an autumn or spring hike, but are nonetheless good choices for winter walks. The more versatile, lighter-weight options – such as the Berghaus and OEX jackets – work equally well as a warm outer layer for autumn and spring and as a midlayer come deepest winter. Until more recently, the choice between down and man-made insulation materials was fairly straightforward. Down offers the best warmth per weight ratio – and it compresses down to a really small size, so it can easily be stashed in a pack on the off-chance it might be useful. Traditionally, down’s big weakness was that when wet, it loses much of its warming properties. Down items are usually a little more fragile too (a thorn can potentially tear a whole and send feathers flying), and can be a little irksome in the event of escapee feathers. In contrast, synthetic materials such as PrimaLoft may not pack down as small (though they come close), or have quite as impressive warmth-per-weight ratios (though again, they move ever closer), but they retain much of their warmth when wet. So ultimately they’re safer. More recently though, down technology has made big advancements with water repellence and resistance, and there’s now little to choose between the two. There’s always been something especially reassuring – snug and comforting – about wearing a down jacket. As well as warmth, you should look for weight (especially if you expect it to be carried in your pack a lot), breathability and some weather-resistance (i.e. water and wind), too. US brand Columbia’s impressive-sounding Omni-Heat thermal reflective technology is a series of tiny silver dots designed to reflect body heat, keeping you warm. But the jacket is also interspersed with breathable material, allowing excess heat to escape. The Powder Lite has plenty of features, such as adjustable hood and hem, to help customise it to the wearer, plus zipped hand pockets, interior pocket and water resistant outer fabric. 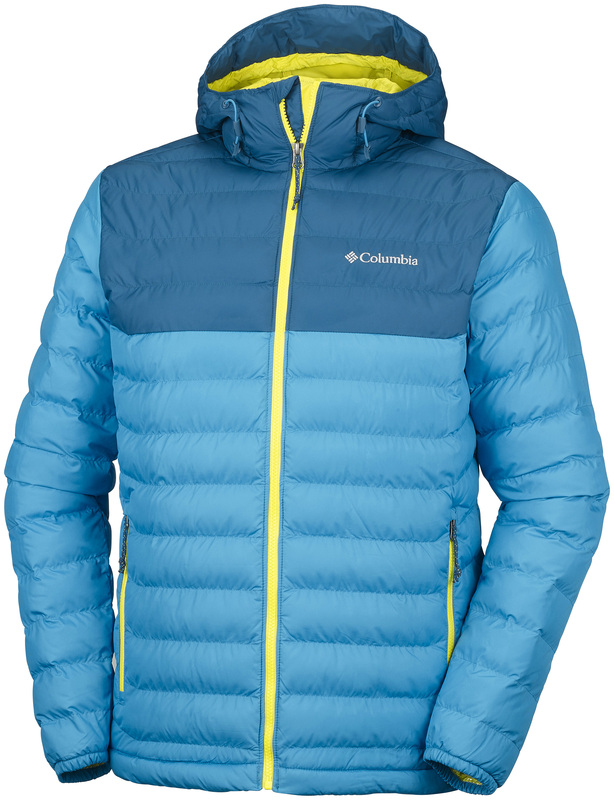 While it’s certainly both warm and breathable, the Powder Lite is comparatively heavy however, and it’s a pretty bulky fit – Columbia’s clothing is almost always a size larger than we’re used to in the UK. It’s not really a jacket to chuck in your pack for a long walk and works better as a warm layer to chuck on at the end of the hike, as you watch the sun sink into the horizon on a winter’s day. Turned inside out, the silver-orange inner worked as a passable pumpkin outfit for Halloween. Pros: Good warmth and breathability, good value for money. Cons: Heavy, big and bulky. Verdict: Good value warmth, but less versatile than others on test. Like the OEX option, the snappily named Berghaus VapourLight Hypertherm Insulated Hoody is an ultra-lightweight concept: something to chuck in your pack in autumn and early spring for insurance, or wear as a midlayer on winter walks. Features include a hood (as you’d hope from the name), two zipped pockets and a clever twist. The Hypertherm can be worn either way around (as in inside out), for different levels of warmth. Wear it one way round for wind-proofing and the other way for more breathability. It may sound gimmicky, but the difference is surprisingly discernible and makes this a more versatile option. The warmth per weight ratio is excellent. I’ve been chucking this in my pack for three years (it packs down into its own pocket) and have been thankful I have on several occasions. Cons: Not as warm as some options here. Verdict: An excellent, lightweight, versatile option. 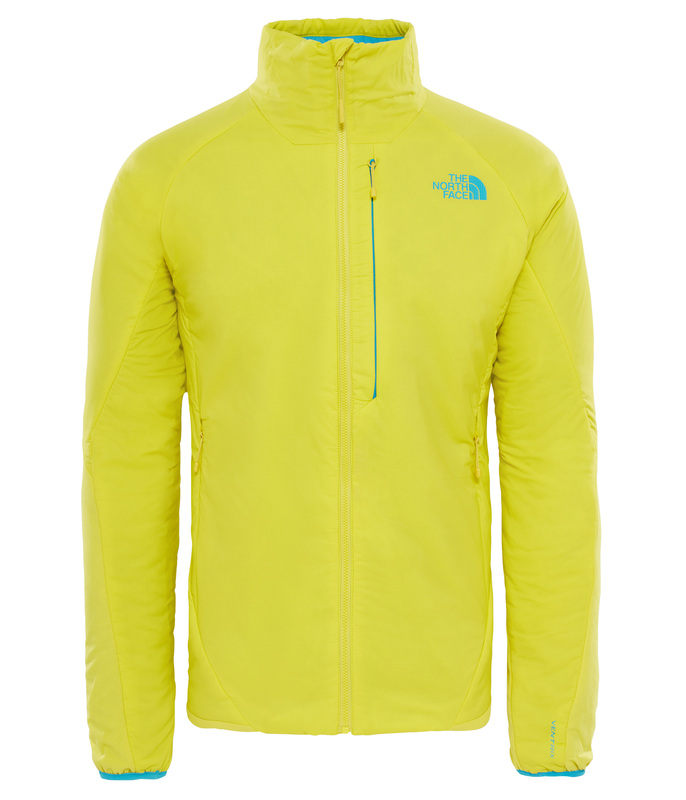 This is the third of the ultra-lightweight options, and the only down jacket, on test. New brand OEX use (environmentally friendly) hydrophobic down, which is claimed to repel water so it’s still effective in rain – while a DWR coating on the ripstop outer adds another level of water resistance. I’ll not beat about the bush. This jacket is fantastic. 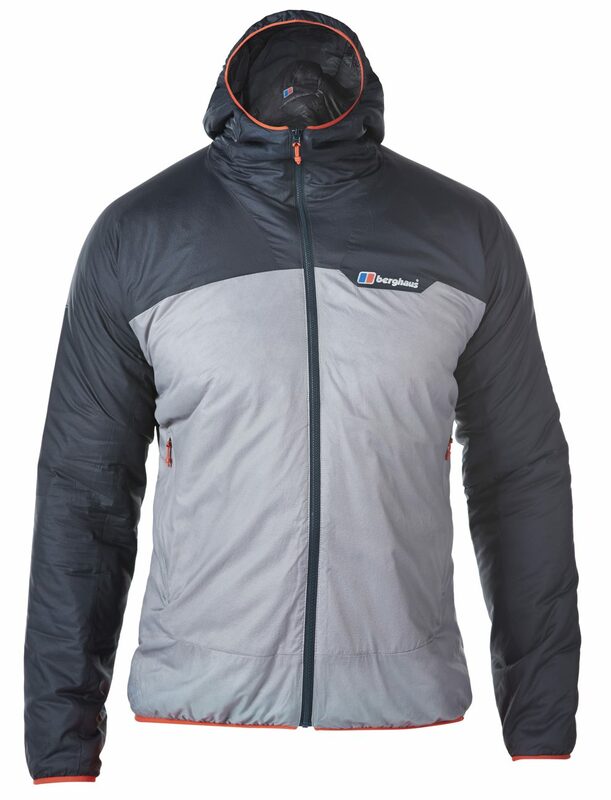 The amount of warmth for the weight is next to sensational, but also the amount of material – great protection for chin and mouth for example – you’re getting for a similar weight to the Berghaus option. Its features include two zipped pockets, tightly elasticated cuffs, elastic hem cord and, being down, it squashes down really well. The duck down is also ethically sourced – even if it likes to escape. Plus it's super-comfortable – you can hardly feel you're wearing it. So there’s plenty about it to like, but it’s that warmth (plenty) to weight (hardly anything) ratio that really astonishes. Pros: Excellent warmth per weight. Verdict: A truly excellent winter walking garment – best in test. A gold winner at this year’s ISPO Awards, the Ventrix boasts ‘laser-perforated micro vents’ in areas where you might get sweaty. The idea is that when you’re static, the holes are closed, retaining heat. But when the wearer starts to move, they open, breathing and regulating body heat. It’s difficult to know if all that fancy stuff is really happening, but this jacket is reassuringly warm and surprisingly breathable with it. It’s a lovely soft and stretchy material too, and is pleasing to wear. Features include three zipped pockets, elasticated cuffs and adjustable hem. It’s not bulky exactly, but there is a lot of material to it. Pros: Excellent breathability, but warm too. Cons: Slightly large sizes and bulky fit. Verdict: A really good option for active wear in winter. Salomon Drifter Mid Hoodie is certainly stylish. The stretchy material makes it very comfy too and it’s reassuringly warm and snug. Like Berghaus, it can do the reversible, different warmth-levels trick, but with different looks too: a stretchy casual side and a shinier, smarter look (though pockets are only zipped on one side, oddly). One side for the hike, the other for the pub afterwards? The insulation is the popular PrimaLoft, renowned for good performance when wet or damp. Active fit means it suits – and feels good – on an athletic figure well. Like the Sherpa and OEX options, you simply want to wear it. Pros: Stylish, warm, comfy, versatile. Cons: Heavy compared to some. Verdict: An excellent, stylish, comfy and versatile option. 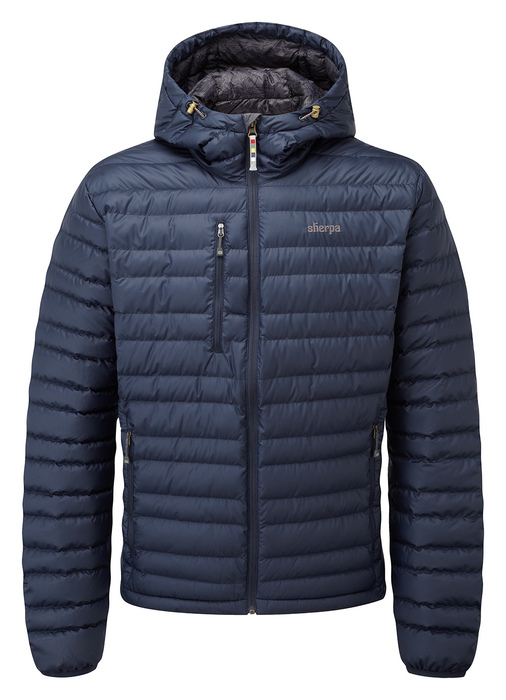 Like Columbia’s option, Sherpa’s Nangpala feels like a proper down jacket. In it, you feel reassuringly warm, snug and protected. It uses a combination of water-repellent down and hydrophobic PrimaLoft and claims to absorb water 10 times slower than standard down, retain 95 per cent of warmth if wet and dry four times faster. In truth (thankfully), I haven’t had the chance to fully test these claims out yet. It’s deliciously warm and you really want to wear it. A tight weave ensures no feathers can escape, while a micro-grid ripstop shell is water-resistant. 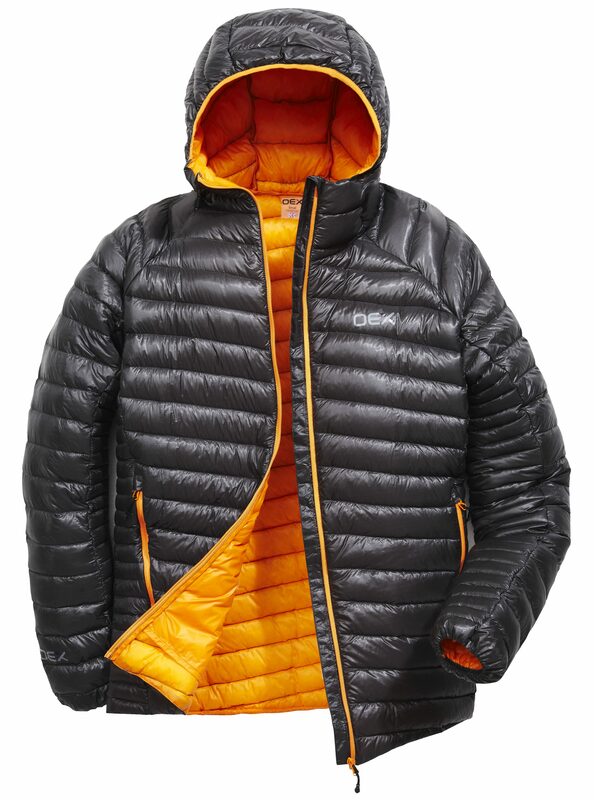 Indeed there are inspired touches all over it, including Himalayan-inspired printed taffeta liner; three zipped, fleece-lined pockets; adjustable hem and hood; excellent neck cover; a stuff sack for packing the highly compressible jacket away; and even an earphone-compatible media port in the chest pocket. It’s a class act. Pros: Warm, clever, lots of protection. Cons: Comparatively big and heavy. Verdict: Deliciously warm, snug and protective. Damian Hall is an outdoor journalist who’s completed many of the world’s famous and not-so-famous long-distance walks, including Everest Base Camp trek for his honeymoon. The tea-loving hillbilly is author of the official Pennine Way guide and his newest book, Long Distance Walking in Britain, is out now. There’s plenty more self-aggrandising hogwash on Twitter (@damo_hall) and at www.damianhall.info.